The Sunken Fact: Lincoln Instigated the War. Goodwin dismisses the contrary assertion that Lincoln didn’t bungle anything, that he had caused the expedition to Sumter to be carried out just as he had intended. “Critics" she writes, “later claimed that Lincoln had maneuvered the South into beginning the war. In fact, he had simply followed his inaugural pledge that he would `hold’ the properties belonging to the government, `but beyond what may be necessary’ to accomplish this, `there will be no invasion—no using force.’ . . . Had Lincoln chosen to abandon the fort, he would have violated his pledge to the north. Had he used force in any way other than to `hold’ government properties, he would have breached his promise to the South." Historian Goodwin’s invocation of Lincoln’s first Inaugural Address as her factual basis for her claim that the Sumter expedition was “bungled" by Lincoln’s failing to read orders, is a classic example of glossing over the textual meaning of words. Lincoln had made himself absolutely clear in his inaugural address that he would marshal the military forces of the Union to “hold" the forts situated at Pensacola and Charleston. But was it practical that this could be done? As for Fort Pickens the answer was plainly “yes." Fort Pickens is located at the tip of a long spit of land called Santa Rosa Island. Since January 1861, Captain Israel Vogdes, of the U.S. Army, was on board the Navy war ship, U.S.S. Brooklyn, off Pensacola Harbor. The U.S.S Brooklyn was the flag ship of a fleet of naval warships on station in the Gulf of Mexico. Vodges had on board with him a regiment of soldiers, ready to go ashore Santa Rosa Island and reinforce the fort. But the Buchanan administration had recognized an armistice with the Confederate forces. Notwithstanding this, by March 1861, Vodges had gone ashore with his troops and assumed command of the garrison. 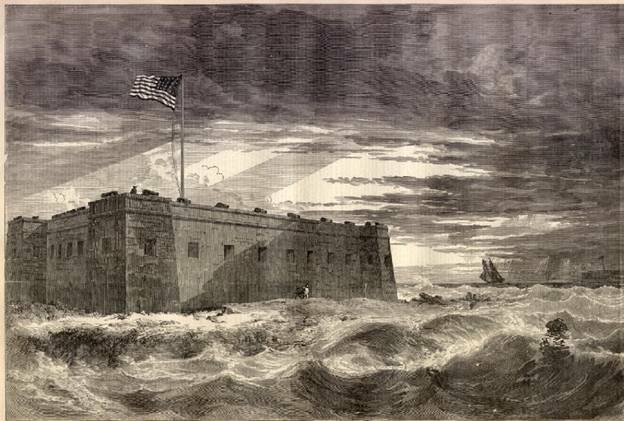 Keyes and Meigs, together, then went to the War Department, pulled maps, and calculated the tonnage of supplies needed, the amount of cannon and ammunition, and troops, with sustenance supplies, necessary, in their view, to sustain the Fort Pickens garrison for a period of six months. Their plans formed, the two army officers appeared at the White House at 3:00 p.m. and met with Seward and Lincoln. They presented their plan to Lincoln, who said, according to Keyes, when they were done—“See General Scott, and carry your plans into execution without delay." Upon leaving the White House, Keyes says he went to General Scott and dined with him. Scott was not happy that his secretary had gone to the White House and assumed a position as organizer of the Pickens expedition without his permission; but he acquiesced. “You will proceed to New York, where steam transportation for four companies will be engaged, and putting on board such supplies as you can ship without delay, proceed at once to your destination. Captain Meigs will accompany you as engineer. . . The naval officers in the Gulf will be instructed to cooperate with you, and to afford every facility in their power for the accomplishment of the object of the expedition. . .
Keyes claimed, in his book, that he drafted an order for himself which he presented to Scott for signature, but Scott told him to take it to Lincoln. The text as printed by Keyes follows, but it appears that no authentic copy of this order exists in the record. With Lincoln’s order in hand, Keyes says he left Washington by the night train of April 3, for New York. He says that Meigs accompanied him, and, for the first time, he mentions the name of Lt. David D. Porter, a naval officer and puts Porter on the train with him. At Philadelphia, a change of train was necessary and Keyes chose to remain in Philadelphia for the night, Meigs and Porter going on alone. 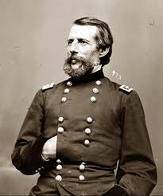 Dear Sir: Captain Meigs received a telegram to stop a certain vessel. Fortunately it came too late. . .
Coming on (the train ride?) I told Porter, of the Navy, that the placing of one or two vessels in a certain place at a certain time, would make the game certain—without, the loss will be certain. . . ."
Apparently, Seward made no reply to this, although Seward eventually instructed Keyes to stop writing him and return to his chain of command. Keyes attempted to return to Scott, but Scott terminated his services as military secretary. Eventually, Lincoln appointed Keyes a major-general in command of a corps in the Army of the Potomac. Lincoln appointed Meigs the Army’s Quartermaster General. As for the barely mentioned naval officer, D.D. Porter, Lincoln appointed him an admiral. Unlike the straightforward story Keyes tells about the organization and execution of the Pickens expedition, the story the historians tell about Sumter is full of confusion. But when the record is broken down into its separate parts and each part examined in light of the known circumstances, it becomes reasonably clear what happened to derail the Sumter expedition—Lincoln, the sly country lawyer, tricked the Confederate government into believing that he intended to use naval warships to invade the harbor. The hook for Lincoln’s trick was the U.S.S. Powhatan. When Lincoln came into office on March 4, 1861, he knew it was impossible for him to hold Fort Sumter. 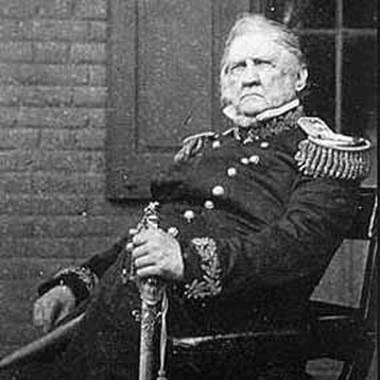 According to his general-in-chief, Winfield Scott, an army of twenty thousand men would be required. The force would land on Morris Island where it would have to fight battles to maintain itself in proximity to the fort which rested on a man-made shoal in the middle of the harbor. But Lincoln had no such army available to him; it was as simple as that. 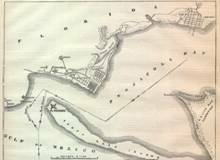 Relying on the U.S. Navy to penetrate Charleston Harbor and reinforce Fort Sumter was also impossible. The feat might have been accomplished four months earlier, while Buchanan was still president, but now, in April 1861, the Confederates had built a substantial array of batteries on all points of land surrounding Fort Sumter and had battery platforms on the waters ringing the fort. No navy ship of the line could expect to survive the artillery storm that would fall on it as it came across the bar and entered the harbor. In addition, fire ships would most certainly be sailed down upon it and there would be booms of barriers across the mouth of the harbor blocking entrance. During Buchanan’s last days in office, the son-in-law of Montgomery Blair, Gustavas V. Fox, had approached Buchanan’s cabinet with a paper plan to effect the reinforcement of Fort Sumter. The plan called for steamships to carry troops, munitions and sustenance supplies down to Charleston. The steamers would also carry whale boats. Tugboats would follow the steamers and naval war ships would also be present to provide covering fire. Once all these vessels were collected outside the harbor mouth, at night, and with the tide, the soldiers would occupy the whaleboats, and the tugboats would tow strings of them into the harbor and around to the fort’s wharf, where the soldiers would disembark and enter the fort. This plan was rejected by Buchanan. Instead a single civilian steamer was sent, with notice given to the Confederates that the ship carried food supplies only. 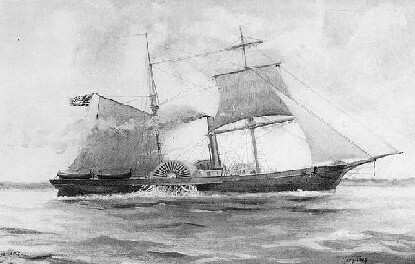 The steamer—The Star of the West—did enter the harbor, but was forced to make a U-turn under heavy fire from the shore batteries and the danger of fire ships crashing into it. Given the military facts of the situation, no reasonable person standing in Lincoln’s shoes, in April 1861, could have entertained intelligently, the idea of adopting Fox’s plan for use against South Carolina. Most importantly, Lincoln knew that if he actually executed Fox’s plan, then his government would be viewed, both domestically and internationally, as the military aggressor, the attacker, and South Carolina would be viewed as the defender of its sovereign territory. 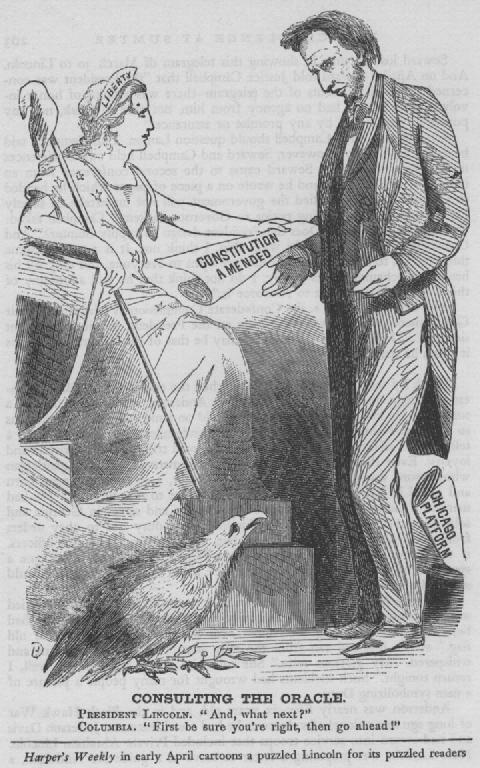 Such a perception certainly would not have had the effect Lincoln needed; if he was to get his hands on “the requisite means" of waging war, he first needed to change political opinion one hundred and eighty degrees from the view taken by Horace Greeley of the New York Tribune (a main stay radical Republican) that there was no point in the Union pinning the South to it by the bayonet! That was exactly what Lincoln, from his inauguration day, meant to do: Pin the South to the Union with the bayonet. Can Ms. Goodwin deny this was Lincoln’s original intent? Can any rational person who reads the record deny this? Lincoln’s secretary of the navy, Gideon Welles, in his posthumously published book—The Diary of Gideon Welles—states the political climate of the time correctly: “Neither party (Republican or Democrat) appeared to be apprehensive of or to realize the gathering storm. There was a general belief, indulged in by most persons, that an adjustment would in some way be brought about, without any extensive resort to extreme measures. . . the great body of the people. . . were incredulous as to any extensive, serious disturbance." How, in riling the country to war, was Lincoln to turn on its head the perception that he was the aggressor? How to make it seem that South Carolina was the aggressor and that Lincoln’s government was merely defending itself from such aggression. How, in other words, to provoke South Carolina into bombarding the fort without, apparently, any provocation? No sooner had Lincoln assumed the executive office but he was off and running with a plan to do this. He accomplished the plan by creating the appearance, in the minds of the Confederates, that he had issued orders that circumstances confirmed were being carried out, to send U.S. Naval warships to Charlestown, to force an entrance into the harbor. On March 5, 1861, commissioners from the Confederate government arrived in Washington and began communicating with William Seward, the Secretary of State. They were there to negotiate with Lincoln, the idea being to establish a treaty between the Union and the Confederacy. In the course of these communications they pressed for the garrisons be evacuated from forts Pickens and Sumter. Lincoln refused to meet with them, but allowed Seward to string them along through the month of March and into early April. Seward’s several messages promised that eventually he would persuade Lincoln to order the evacuations. According to Gideon Welles’s account, on March 6, two days after Lincoln’s inauguration, Welles was informed by General Scott, of “the formidable obstacles which were to be encountered from the numerous and well-manned batteries that were erected in Charleston Harbor. Any successful attempt to reinforce or relieve the garrison by sea Scott supposed impractical." The next day, Welles and Scott met with Lincoln at the White House and Scott repeated his opinion. According to Welles’s story, the “President. . . was adverse to any offensive measures . . . to forbear giving offense." Lincoln at this meeting ordered Scott to prepare a position statement on Sumter and report back. Lincoln Plays It Close To The Vest. Welles, as the “naval authority," had first called upon Commander Ward and Commodore Stringham to take command of the expedition to Sumter. According to Welles, both naval officers (of high rank) “were confident that the Navy could reinforce the garrison." But in interviews with Scott “Commander Ward became less confident and was finally convinced that relief was impracticable." “Commodore Stringham came ultimately but reluctantly to the same conclusion." (Diary at pp. 8-9.) It was at this point, when Lincoln realized that senior naval officers were not willing to recommend the expedition that he sent G.V. Fox, who had formally been, but was not then, a naval officer down to Charleston to confer with the garrison commander, Major Anderson. At or near the same time as Fox’s visit to Charleston, Welles states, Lincoln came to him, “and asked me if a naval expedition could be promptly fitted out to relieve Sumter." According to Welles, Fox “again volunteered for the service, and was accepted by Mr. Lincoln.."
Unlike the clear narrative provided by E.D. Keyes, as to his role in organizing the military aspects of the Pickens expedition, Gideon Welles provides a somewhat incoherent account of how the Sumter expedition was organized. An examination of all the existing evidence, however, points to the reasonable conclusion that, in the Sumter expedition, Fox functioned essentially like Keyes did with Pickens: Fox calculated the amount of men and material required, obtained authority from Scott to take certain companies of soldiers, and leased the steamships needed to transport them to their destination; this included purchasing whale boats and chartering tug boats. Fox did not get involved in any way, as far as the record shows, in ordering that any naval warships be assigned to the expedition as escorts, or participate in getting the ships fit for sea duty. That task, the record shows, was left by Lincoln in the sole hands of Welles. Welles performed this task by preparing and sending orders to the captains of the four ships he had selected to form the squadron: Powhatan, Harriet Lane, Pawnee, and Pocahontas. This was done in the last week of March and cleared with the President. 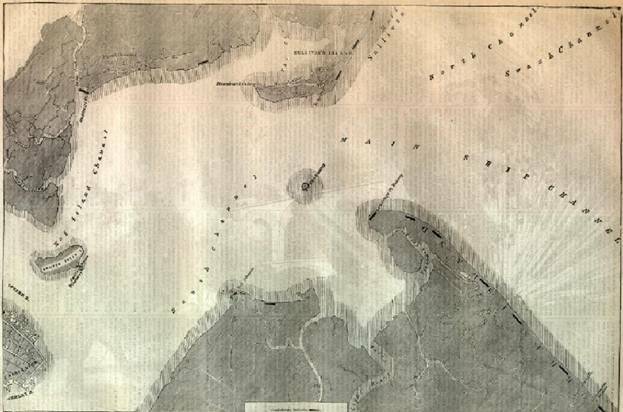 Welles reports, “It was arranged, by the War and Navy Departments that their forces—the naval vessels and transports—should meet and rendezvous ten miles due east of Charlestown Lighthouse on the morning of April 11. Each of the vessels was to report to Capt. Samuel Mercer, commanding the Powhatan." Welles does not say, but in a courtroom it would be reasonably found that if Lincoln did not dictate the terms of Welles’s orders to the sea captains, at least he knew what the terms were. It was through his subsequent secret order, dated April 1, but delivered to Captain Mercer on April 6 by the hand of Lt. David D. Porter, that Lincoln pulled off his trick. Welles sent Capt. Mercer, in command of the Powhatan, the following instructions, which the record has dated April 5. “The United States [Navy] steamers Powhatan, Pawnee, Pocahontas, and Harriet Lane will compose a naval force under your command, to be sent to the vicinity of Charleston Harbor, for the purpose of. . . carrying out the objects of an expedition of which the War Department has charge (Scott is supplying the men and material and transports, Fox is to lead them.). The primary object. . . is to provision Fort Sumter. . . Should the authorities at Charleston refuse to permit, or attempt to prevent the vessels from entering. . .you will protect the transports or boats, open the way for their ingress, and [remove] all obstructions to entry. . . The expedition has been intrusted to Captain G. V. Fox, with whom you will put yourself in communication. . .
Welles sent similar instructions to the captains of the other three ships: They were to wait on station ten miles due east of the lighthouse for the Powhatan to arrive and then take their orders from Mercer. Obviously if Mercer and the Powhatan did not appear nothing would happen, except three ships and some transports would be floundering at sea. From Welles’s testimony (or his son’s) the following facts are clear: First, a joint military mission was underway, the purpose of which was to force an entrance into Charleston Harbor and reinforce Fort Sumter. 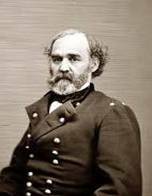 General Scott was supplying the expedition with transports, soldiers, ammunition and supplies; Welles was supplying four war ships, the total guns of the fleet being approximately forty guns. G.V. Fox, the originator of the plan, was to lead the force into action. But, given Welles’s orders (the source of the text of which is not known) the captains of the four ships were to rendezvous ten miles off the coast, and only once they were together, was Captain Mercer, the captain of the command ship Powhatan, to allow the fleet to move toward the harbor mouth. Lt. David D. Porter Testifies What Happened Next. 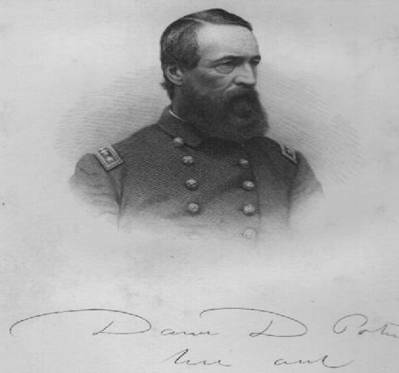 Captain, later Admiral, David D. Porter, provides his point of view, in a book published in 1885, entitled Incidents and Anecdotes of the Civil War. When Porter became involved in the story, he was under orders from Welles to go immediately to California. (He was not in Welles’s favor.) But, while he was preparing to leave for the coast, he received a note from Seward that requested he see him without delay. “But," the President said, “is not this a most irregular mode of proceeding?" “Certainly," Porter says he replied, “but the necessity of the case justifies it." Seward broke in. “You are commander-in-chief. . . this is necessary. . . ."
“What will Welles say?" Lincoln asked. “I will make it right," Seward replied. Porter’s narrative, while probably novelistic, contains a stolid germ of evidence, that Lincoln knew the government’s war and navy departments were infested with spies. As to Pickens, the spies were irrelevant, for the fort could be easily reinforced. As to Sumter, however, if Lincoln wanted the Confederate government to believe he intended to force his way into the harbor, the easiest means of getting the enemy the message was to let Welles send orders to the ship captains through the usual channels; then, secretly change just one of the orders. That is exactly what Lincoln did. He had Welles send Mercer his original orders to be ready to sail the Powhatan to Charleston. Therefore, the conclusion must reasonably follow that Lincoln intended that the Confederates know the Powhatan was going to sea, apparently under the command of Captain Mercer and on a mission to storm Charleston Harbor and reinforce Fort Sumter. What now actually happened to cause, as Ms. Goodwin put it in her book, Lincoln’s bungling? To Porter, Lincoln gave sealed orders, to be opened once he was abroad the Powhatan and had handed Captain Mercer his orders. From other correspondence in the Official Records, it appears that Seward either did not know of the Sumter expedition, or did not know that Lincoln had ordered Mercer to give command of the Powhatan to Porter, or, if he did know, pretended he didn’t. The relationship between Lincoln and Seward in 1861 is subject to some controversy. Was Lincoln treating Seward as an equal, someone whose consent he needed as a matter of politics when he was intending to do something radical, like invade native states, or issue proclamations of freedom for slaves? Or did he use Seward’s signature when he wanted to, as a mask to hide behind, ignoring Seward when it suited him? What does Lincoln’s secret order to Mercer mean for the Sumter expedition? It means that since the Powhatan will never be appearing “ten miles off the Charleston lighthouse," as Welles’s orders to all the ship captains specify, none of the ships can leave their station and force an entry into the harbor. To the extent transport steamers arrive and tugs arrive, nothing will happen. 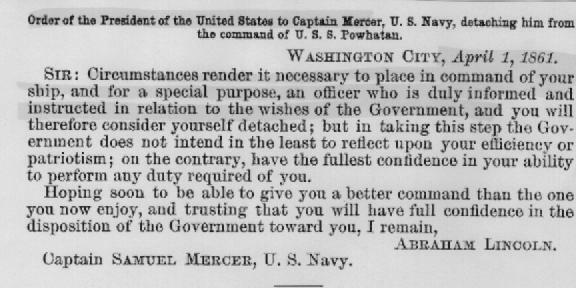 As Porter says, Welles’s orders, and Lincoln’s for that matter, at least those transmitted by telegraph to the commander of the Brooklyn Naval Yard (but not Mercer’s order carried by hand by Porter), were picked up by Confederate spies and the information transmitted to President Davis. Furthermore, spies at the ports of the various ships confirmed that in fact the ships put to sea with troops on board. Therefore, a reasonable person in Confederate president Davis’s shoes would know that, in fact, the Lincoln government had launched a naval invasion of South Carolina—its objective, to reinforce a fort that was intended by all concerned when it was built, to defend the harbor for the benefit of South Carolina, not to be used as a base of offensive operations against South Carolina. But in fact, unknown to Davis, the Powhatan was not bound for Charleston, but, by Lincoln’s truly secret order, bound for Pensacola. 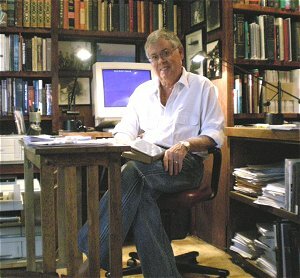 Unlike ordinary trial lawyers, historians like Ms. Goodwin are not concerned with digging deeply into a mass of material to ferret out the facts, the inconsistencies, the contradictions between what one witness says happened and what another says; they are too caught up in the rendition of their narrative to be constrained by the rigorous presentation of evidence that is required by a lawyer in a courtroom. A trial lawyer cannot hope to win his case unless he has gathered together in his arsenal, all the statements of the witnesses, in order to show the trier of fact where the witness must be in error. Had Lincoln been put in the witness chair, how was he to explain Ms. Goodwin’s story of his bungling, when confronted with the fact that he had met with Porter, been told, according to Porter, that Welles’s department was a sieve of information; that anything passed through it would go directly into the Confederates’ hands. Why would Lincoln adopt Porter’s suggestion to keep Welles in the dark, and, yet allow Welles to pass to the sea captains his orders about the Charleston Harbor adventure? Indeed, why order the Sumter expedition at all when, to every competent military mind, it was plain the expedition could not possibly succeed in the face of the Carolinians’ artillery batteries? The reasonable inference plainly arises from these facts that Lincoln intended the Confederate government to believe he meant to attack South Carolina, when in fact he had orchestrated events to prevent the happening of that very thing. Later, Lincoln made sure Porter escaped controversy over the direction the Powhatan took when it put to sea under his command. Welles, in the book—Diary of Gideon Welles—tells this story: “My instructions to Captain Mercer were read to the President on April 5, who approved them (this is four days after Lincoln has himself written Mercer’s order to be carried by Porter). . . . Between eleven and twelve that night, Mr. Seward and his son Frederick came to my rooms at Willard’s, with a telegram from Captain Meigs at New York, stating in effect that the movements were retarded by conflicting orders from [me]. I asked an explanation, for I could not understand the [confusion]. I assured Seward that Porter had no command, and that the Powhatan was the flagship, as he was aware, of the Sumter expedition. . . . [We went to the White House]. The President. . . looked first at one then the other of us, and declared that there must be some mistake. . . I assured him there was no mistake; reminded him that I had read to him my confidential instructions to Captain Mercer. He said that he remembered that fact, and that he approved of them, but he could not remember that the Powhatan was the vessel. He then turned to Seward and said `the Powhatan must be restored to Mercer,’ that on no account must the Sumter expedition fail. . . ."
In the courtroom, Lincoln would be burned by the fact that, according to Welles, he did not disclose, at the time of Welles’s confrontation, that he had indeed send a secret order to Mercer, relieving him of the Powhatan’s command. Instead, he said, “There must be some mistake." Hardly a truthful statement under the circumstances. Porter tells what happened next. “Captain Foote (commandant of the Brooklyn Naval Yard) handed me a telegram from Welles, `Prepare the Powhatan for sea.’ . . .I must telegraph to Mr. Welles." Porter, now abroad the Powhatan, continues his story. “I slipped on board the Powhatan, and locked myself in the captain’s stateroom. Captain Mercer was to remain in command until we got to Staten Island, when he was to go ashore. . . After the ship passed the bar and the pilot had left, I was to appear. Just after Mercer had been put ashore, a fast steamer signaled us. Perry, the first lieutenant, then in command of the ship, did not know who was captain, so he stopped. Lieutenant Roe came on board and delivered a telegram. It read as follows: `Deliver up the Powhatan at once to Captain Mercer,’ signed Seward. Porter telegraphed back, “Have received confidential orders from the President, and shall obey them, D.D. Porter." As for the Confederate commissioners, they were, of course, duped. On April 9, with the Sumter naval expedition presumably in operation, the Confederate commissioners in Washington. wrote to Seward, demanding to know when Sumter would be evacuated; by this time they had received word of the departure of the various ships and the text of Welles’s orders to Mercer and the other captains. 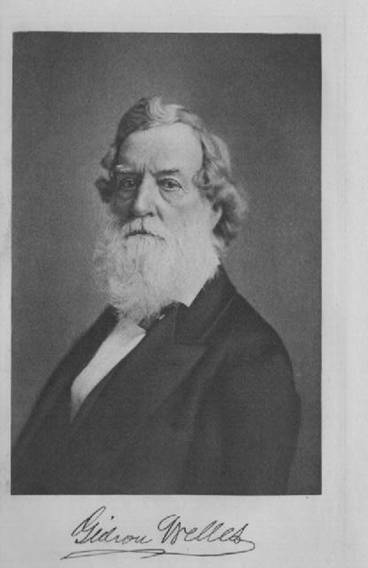 Seward replied through Supreme Court Associate Justice, Campbell, “Faith as to Sumter fully kept; wait and see." The commissioners wired General Beauregard at Charleston, on April 10: “The Tribune of today declares the main object of the expedition to be the relief of Sumter, and that a force will be landed which will overcome all opposition." If you have no doubt of the authorized character of the agent who communicated to you the intention of the Washington government to supply Sumter by force, you will at once demand its evacuation, and, if this is refused, proceed, in such manner as you may determine, to reduce it. When it was reported to Beauregard that the Harriet Lane had crept through the Swash Channel and was close to the bar, with other ships lights sighted at sea, Beauregard gave the order to commence the bombardment. Why did Ms. Goodwin write her story as she did? Look through the biographies of Lincoln, going back to Tarbell’s Life of Lincoln, or Herndon’s, and you will hardly find mentioned the fact of Lincoln’s manipulation of Welles, and his deceit in causing South Carolina to fire on Sumter. William Marvel, not quite the romantic as Goodwin, acknowledges, in his book—Mr Lincoln goes to War (2006)—the essential truth about Lincoln. “The example of the popular furor (caused by the Confederates firing on the Star of the West) may have provided Lincoln’s principal purpose in dispatching the ships. Sumter stood for the most volatile element of a delicate crisis, and Lincoln chose to handle it aggressively rather than diplomatically; he gambled on provoking a war to assure the dominance of federal authority . . . the decision to push the issue at Sumter strongly suggested a readiness to provoke an armed clash."
. Fort Pickens is located on a spit of land outside Pensacola Harbor. For Sumter is located inside the harbor mouth about equal distance from the north and south shoulders of the bay. Of her? Of Lincoln? Of the War? Goodwin does not say. The fleet consisted of Sabine, St. Louis, Wyandotte, and Brooklyn. In 1909, a three volume book appeared on the market, entitled Diary of Gideon Welles. The book was put together by Welles’s son, Edgar T. Welles. The book was represented to be based on a hand-written diary that Welles had kept during his tenure as Lincoln’s scretary of navy; except for the first chapter from which this article quotes. Edgar Welles wrote in a footnote: “This first chapter is not a part of Mr. Welles’s diary, having been written several years after the events narrated," and before Welles actually began to keep a diary. The son does not state when, exactly, the narrative was written, or who wrote and why. This narrative of Welles makes no sense. Meigs had no reason to think the Pickens expedition was to be delayed, because of “confusion" over who was to command the Powhatan or where it was to go. Again, this narrative of Welles is unintelligible, it makes no sense in the context of the known circumstances. A major deficiency in the discipline of historians generally, is their failure to build their scenarios of historical events on the stolid basis of evidence, that is, documents that by their nature can be admitted into the evidence of a case tried to verdict in a courtroom. Too many times, at critical moments in the story of the Civil War, historians manufacture theories of who did what, where, and when, who said what, from sand. To be admissible as evidence in a courtroom, a foundation must first be laid that the contents of a document are an authentic representation of what the writer actually wrote. The starting point for the process of establishing the foundation is to show, through the presentation of witness testimony or other facts, that the document in question is the original. If an alleged copy of an original is being offered instead, the circumstances under which the copy was made must be shown in evidence and they must be of such a nature that the jury may reasonably find that the document was made at or near the time of the event recorded in it, by a person with personal knowledge of the event recorded in it. A document made at a later time, say years later, may be admissible as “past recollection recorded,” but a showing must be made that the person who wrote it was a percipient witness, someone who was present when the event occurred. Finally, a writing, statement, or other facts may be admissible to impeach a witness, by means of something he was overheard to say which the witness who heard the statement, or witnessed the event, wrote down. As the Rutgers editors point out, in the case of Lincoln’s written communications with Captain Mercer and Lt. Porter, in April 1961, the strict requirements of evidence regarding the authenticity of documents has not been met. Indeed, the Rutgers editors, in their 1936 original edition of the Collected Works of Abraham Lincoln, do not give us any understanding of who wrote the documents they reproduced in the Works, or when or where. They state merely that they chose to use the typed text of communications printed in the Official Records of the Rebellion, published in 1885. Thus, we the jury have no basis upon which we can reasonably conclude that the text given to us is, in fact, the actual text Lincoln wrote or dictated as his communications to Mercer and Porter. Lincoln may have written the messages to Mercer and Porter himself, placed them in sealed envelopes and personally handed them to Porter, Porter being instructed to give Mercer his sealed orders once he was on board the Powhatan and then open his own sealed order. Had this scenario been the actual method Lincoln used, then we know it to be highly likely that no one—not Seward, not Welles—knew that Lincoln had derailed the Sumter expedition before it had begun, until after the fact. 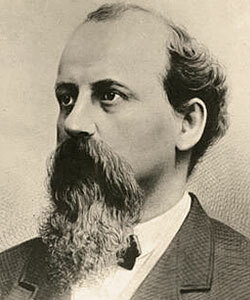 Seward may have written the messages at Lincoln’s dictation, or Lincoln’s secretary, Hays, might have done so. Without having in hand the original documents we have no basis to say whose handwriting appears on the documents and, hence, who was the writer of them. Furthermore, since Lincoln’s orders were indisputably according to the evidence secret, how did it happen that copies of the original orders came in to existence? Who wrote the copies—Lincoln? Seward? Hays? Porter? When were the copies written? The same day the original was written? Within a few days of the original being written? Within a month? A year? The evidence the historians offer does not tell us. Which means we must be careful not to be fooled by history, distracted from piecing together the evidence in a way that reconciles all the known objective facts of the matter into a scenario we can say is more reasonably probable to be the true case than an alternative offered. We know from the editors’ footnote that the Collected Works merely reprinted what text appears in the Official Records of the Rebellion. In the 1880s, a man named Gardner was charged with the task of collecting all the documents he could find, both Union and Confederate, then copy them and publish them in successive volumes. Where did Gardner get the documents he printed as Lincoln’s orders to Mercer and Porter? From the White House? The War Department? From Lincoln’s secretary, Hayes? Obviously, the best evidence of what Lincoln wrote to Mercer and Porter is to be found in the text of the original document Porter and Mercer found when they opened the sealed envelopes and found their orders. Did Gardner gain possession of the documents Porter and Mercer possessed, copy them and print them in the OR? We do not know, the Rutgers editors do not tell us anything about what investigation they conducted to get to the bottom of this question. What we can conclude from the record in front of us is that, in fact, Lincoln did send Porter to New York with sealed orders for himself and Mercer, that when he opened his orders he found himself in command of the Powhatan, and when Mercer opened his he found himself relieved of the Powhatan’s command. The “historian” Doris Kearns Goodwin claims that, when, on April 1, 1861, Lincoln wrote or dictated the secret orders to Mercer and Porter, he had simply forgotten that Welles had ordered the Powhatan to be made ready to go to sea as the flag ship of G.V. Fox’s expedition to Charleston. The percipient witnesses who we can expect had personal knowledge of facts which are relevant to prove or disprove Goodwin’s theory are Lincoln, Welles, Porter, Mercer and Seward. There does not appear to be any writing of Mercer’s or Seward’s which can be used to reconstruct their knowledge of what Lincoln knew or didn’t know about Welles assigning the Powhatan to Fox’s expedition. But we do have statements in the record made Porter and by Welles or his son who had possession of Welles’s papers. As for Welles, his statements, presented for publication by his son, in 1909, do not support Goodwin’s theory, but directly contradict it. Welles states that his written instructions to Mercer “were read to the President on the 5th of April, who approved them.” (Dairy at p. 23.) If, in fact, Welles’s statement is true then, for Goodwin’s theory to work, Lincoln had to have forgotten on April 5 that on April 1 he had written or dictated the secret order to Mercer, relieving him of command of the Powhatan and giving it to Porter. How likely is it, to the minds of reasonable persons, that, on April 5, Lincoln could have forgotten the fact he had given the Powhatan to Porter on April 1? Welles offers more impeaching evidence of the credibility of Goodwin’s theory. Welles states that, after he had read to Lincoln his instructions to Mercer, Seward came to his rooms at the Willard Hotel to report that there was confusion in New York about the Powhatan. (Apparently Foote telegraphed Seward inquiring about the destination of the Powhatan.) Welles states that he went with Seward to the White House, reaching it at midnight. Welles asked Lincoln to explain what had happened to cause the “confusion.” Welles then tells us his impression of Lincoln’s reaction to the question. What does Welles mean to say here? That Lincoln could not remember that the Powhatan was the vessel that had been selected several days before as the flag ship of Fox’s expedition to Charleston? How could Lincoln not remember the Powhatan, as, according to Welles, Lincoln acknowledged he had not forgotten, between the morning and the night of April 5, that Welles had been in his office and had read to him his orders to Mercer, the supposed captain of the Powhatan, instructing him that he was to take the vessel on a mission Lincoln had intrusted to Fox? If Lincoln was on the witness stand in a courtroom and you were a member of the jury, would you believe him? Lincoln’s actions after this dialogue occurred is also telling. 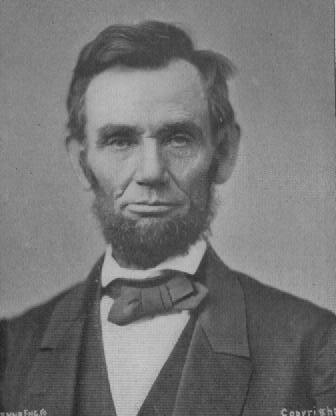 Welles states that Lincoln then “turned to Seward and said the Powhatan must be restored to Mercer, that on no account must the Sumter expedition fail or be interfered with.” No doubt, Ms. Goodwin, when called to account for her tale of Lincoln’s forgetfulness, would seize upon this asevidence of Lincoln’s state of mind being energized with a wish to correct his mistake. On the contrary, the evidence impeaches Lincoln’s credibility further. Lincoln knew that, as commander-in-chief, he had personally given Porter a direct order to take command of the Powhatan and sail her to Pensacola. Lincoln knew that Porter would obey that order, that only if it were countermanded by another direct order from Lincoln would he not. Therefore, Lincoln’s response to Welles, had he truly been trying to correct his “mistake,” would have been to issue himself the countermanding order, not delegate the task to Seward. Of course, when Seward’s “order” reached Porter on board the Powhatan he ignored it. Let’s give Lincoln credit where credit is due, He knew what he was doing. Outline of all relevant text of letters, messages, orders which are printed in The Collected Works of Abraham Lincoln, along with other matter that is relevant to an understanding of the progression of events, particularly who knew what? and when? As to Lincoln's intent in derailing the Sumter expedition. To what point in time can Anderson hold out? Can you reinforce Sumter within that time? If not, what will it take? On March 9 Lincoln sent a message to Welles to come see him at once. Note: “On March 13, the Powhatan came into New York harbor. She was unfit for service. Orders came from Welles to put her out of commission. On April 1, she was lying at the Navy Yard, a “sheer hulk,” preparing to go into dry dock. To Seward: “Assuming it possible to now provision Sumter, under the circumstances, is it wise to do it? Note: On March 25 Fox arrived at Charleston. March 29 (Friday) At the cabinet meeting Lincoln asked for written opinions (which had just been given between March 16 and March 18. Why again? The editors say these opinions exist in the Lincoln Papers. Smith, Seward opposed. Welles, Chase, Blair and Bates for it. The memo is not in Lincoln’s hand. Pocahontas at Norfolk, Pawnee at Washington, Harriet Lane at New York to be ready for sailing for sea. 200 men at New York ready to leave, supplies for 12 months. A large steamer and three tugs conditionally engaged. Note:The memo is not in Lincoln’s hand. Note:This memo and the accompanying message is reproduced from Welles’s papers. Query:At some point between March 29 and April 1, Welles adds the Powhatan, why? Fit out the Powhatan to go to sea under sealed orders. Abraham Lincoln. Note: This is found in “naval records,” OR Vol 4, p. 109. None of the April 1 orders are originals, but copies with differing language. Porter published Naval History of the Civil War in 1886) “On March 12, Blair summoned Fox to Washington.” Fox presented his plan to Lincoln. Lincoln told Fox to go to Scott and explain it to him. Scott did not approve of Fox’s plan. Fox then went to Charleston to see for himself if his plan would work. Anderson and Doubleday showed him the problems and told him no way. Fox arrived at Charleston on March 25. “Fox states that the Powhatan, Captain Mercer, sailed on the 6th. The Pawnee on the 9th, the Pocahontas on the 10, the Harriet Lane on the 8th. The tugs on the 7th and 8th. The Baltic on the 8th. (This means Fox was at the yard when the Powhatan sailed. Fox, according to Porter’s story, thought Mercer was in command. This means that Foote and Porter’s interaction, and the subsequent telegram from Seward, were not known to Fox for the two day period, 6 to 8. Porter leaves out of his story his involvement so far. On the 14th Anderson evacuated the fort. Porter continues: “Fox seems to have relied on the Powhatan. But, “On April 2 he had not even received the written authority to undertake this expedition, and no decision had been come to by Lincoln until April 4, and it was not until April 6 that a telegram was received by Captain Foote as follows: Prepare Powhatan for sea” signed Welles. In the next breath Porter writes, “On April 1, Lincoln wrote an order to put the Powhatan in commission. On April 2, the work commenced on her. On April 5, she went into commission. On April 6 she sailed for the relief of Pickens, under Porter’s command. The ship could only make 8 knots an hour. Porter says nothing about his involvement. “The fact of sending a civilian down to Charleston to direct the movements of a naval commander, without any authority of law, was all wrong, no matter if the person had once been in the navy. Porter refers to Boynton, a naval historian as not being accurate and so now tells his story. “Meigs conferred with Porter, who. . . showed a desire to go on the expedition (to Pickens) Porter was under orders to go to California, and was to have left for New York to meet the California steamer on April 1. In two or three hours he would have taken the train. A note was sent to him at 2:00 p.m. (on what date? April 1, or 2?) Porter met Seward and the two went to Lincoln. Meigs came too. In half an hour everything was settled. Lincoln issued the secret orders and off Porter went. (on the same train as Fox?) Since Meigs was in the loop, why would he telegraph Seward about “confusion? Something else must have happened. Foote balked and telegraphed Seward to confirm? Welles got wind of this and inquired? “On April 6, a telegram came from Welles to Foote: “Prepare the Powhatan for sea.” Foote wanted to telegraph to Welles what had been already done. (We have an explanation for the two “get ship ready” orders, one from Lincoln (carried to Foote by Porter on the 2d) the other from Welles, a little late. This suggests that Welles was given his orders from Lincoln after Porter had already left, This means Welles was being used to establish the restrictions on the other ships’ ability to assist Fox. Lincoln’s order to Mercer. (Lincoln’s signature only, he wanted there to be no mistake where the order came from?) Nicolay and Hayes, VoL. 4, date this letter as April 2. The message to Foote: “You will fit out the Powhatan without delay, under no circumstances communicate with Welles.” Apparently Foote disobeyed this order. April 1 This is strange. To Scott: “Report to me each day your whereabouts and intelligence received. April 1 A long memo to Seward which is a bit strange, since they had been together. Note: Seward gave Lincoln a memo of the same date. “Change the issue from a party question, slavery, to one of patriotism, UNION.” Seward then is supposed to have written: “The occupation of Sumter [is] regarded as a party question. Witness the temper manifested by the Republicans. . . I would therefore terminate it as a safe means of changing the issue. . . I would defend and reinforce all the forts of the Gulf.” He then offers to assume the responsibility “to pursue and direct [war].” (318) How can this be? Seward is supposed to have just “recommended” orders which contradict his position in the memo, yet both documents are supposed to be dated the same day.. Scenario. Seward gave Lincoln the memo early in the morning of the 1st? Lincoln then met him and explained what he meant to do and enlisted Seward’s aid? Seward got Porter to the White House in the afternoon, Lincoln gave Porter the orders, and Porter boarded the train which also carried Meigs and Keyes. But Lincoln answered the memo in writing the same day: As the editors put it: “Lincoln may have handed the letter to Seward when they first met on the 1st. Lincoln retained it. Seward does not have a copy. Once this happened, now Seward is on board, going along with Lincoln, because he knows Lincoln is using a ruse. The ruse is to placate Seward? Seward’s memo is written in the hand of his son, Frederick Seward, acting as his secretary. The source for this letter is Welles, as produced in an magazine article in 1870. Welles describes the letter as in the handwriting of Meigs and the postscript in the handwriting of Porter. (This is how Welles got agitated, about Meigs and Porter, and went to the White House to inquire.) Is this letter referenced by the Welles Diary? In the article Welles writes, “the President expressed as much surprise as I felt that he had signed and sent me such a document.” He adds, “Pendergrast and Stringham did not go.” This is the key to Welles rushing to the White House and Lincoln hiding behind Seward. April 2 To Welles: “Mr. Heap will if summoned by Capt. D.D. Porter U.S. Navy, join him instantly in New York, temporarily vacating his desk at the Navy Department.” (Heap was a clerk in the Navy Department, he sailed on the Powhatan as acting paymaster.) This makes no sense. So Welles then knew that Lincoln had ignored Welles’s order to Porter to go to California, that instead Lincoln had Porter going to, or already in, New York, and that he needed a paymaster. Nobody so far has mentioned this. April 4 Cameron to Anderson, to be carried by officer Talbot to Charleston. Talbot was denied access to the fort. Note:This is an important piece of evidence. According to the editors, a draft in Lincoln’s handwriting exists in the Lincoln Papers, and a copy exists which Cameron had added language and which he signed. (This means that Cameron, like Welles, knew of the expedition to Sumter and participated in writing orders; Lincoln could just as easily sent his own writings by Talbot, keeping Cameron out of the loop. Welles and Cameron then had reason to think the expedition is going forward. Lincoln, by this date, had already sent his secret order by Porter to Mercer. The key to Lincoln’s impeachment is Welles’s story that he confronted Lincoln with the “confusion” on April 6, (Foote sent his telegram according to Porter’s story at or after 2:00 p.m. on the 6th) and Lincoln did not admit he had sent the order to Mercer. April 6 Cameron to Chew (An autograph draft of this letter is in Lincoln’s hand and in the Lincoln Papers. Cameron used it to write his own version. Chew delivered the letter to Governor Pickens. Query: Why did Lincoln dump this statement in Pickens’ lap? To make sure the Confederates were on notice his fleet was on its way? To create the impression for the Northern people that he had been passive, not intentionally provoking the bombardment which followed? Since he had already sent his secret orders, he knew there was in fact no threat that could be executed against the harbor. The last paragraph of the note, is directed to Chew as instructions and they are telling. Note: Note Lincoln does not include as a possible situation, that the U.S. Naval fleet is attacking the harbor. Note:Note:The editors did not print in the Collected Works the two orders Welles wrote to Mercer and his other ship captains. Apparently we have no evidence that Lincoln drafted these, as we have evidence he drafted messages for Cameron’s signature. It is possible Welles created the condition about the light house as a typical concept under such circumstances, ships coming together for an action, that Lincoln saw it as a device he could use to block the ships from engaging in action. Note: There is nothing in the Collected Works which documents the fact Lincoln sent Lamon down to Charleston during this time. This was then done orally? Between April 7 and April 11 (as the ships are arriving off Charleston) there is nothing more in the Collected Works that is relevant to the situation. Note: On April 11, John Pope wrote Hill Lamon, asking if Lincoln might not order him to Washington. Lincoln made have asked Governor Yates of Illinois to give Pope a command of milita. Clearly Pope was in his eye. April 15 Lincoln proclaims: (1) calls forth the militia, to number 75,000, (which under statute would be for 90 days only?) (2) to repossess Sumter, (3) orders that Congress, both houses (it appears the Senate was in fact in session?) convene on July 4th. April 19 He proclaims the blockade. I believe the Civil War could have been won by the South if they had taken the offensive earlier in the war. 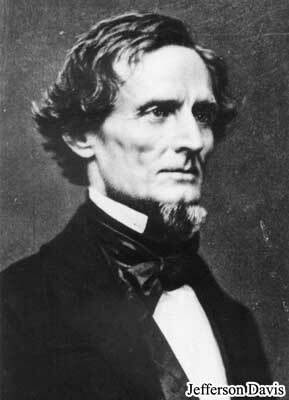 Also, was Jefferson Davis an effective leader? Your thoughts please. The evidence suggests that the South had no real chance of winning the war Lincoln instigated. The Southern politicians, who orchestrated secession in their states, Jefferson Davis included, were gambling that the people of the loyal states would not support a Union policy of war. Once Lincoln manipulated events to cause the loyal states to support his war against secession, the only possibility of the South "winning the war" turned on whether or not England would use its naval power to keep the sea lanes open to Southern ports. When this did not materialize secession was doomed. The ultimate proof of this, is shown by the objective inability of Jefferson Davis's government to produce enough men and material to permit Joe Johnston and Pierre Beauregard, after the battle of Bull Run, to move into Maryland and challenge the Union army for possession of Washington. I think Jefferson Davis did as good a job in his office as Lincoln did in his. What do you viewers think?